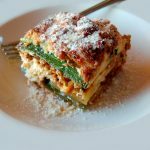 Zucchini layered in between turkey meat sauce and ricotta cheese filling, it's so delicious, you'll never miss the noodles! Thinly slice the zucchini with a mandolin slicer and set aside. Brown the turkey in a large skillet and season with salt and pepper. Add the diced mushrooms and minced garlic, sauté one minute longer. Add the spaghetti sauce, season with more salt and pepper to taste. Simmer sauce while preparing the filling. In a medium bowl, combine the ricotta, 3 ounces of the mozzarella and parmesan cheeses with basil, thyme, onion powder, salt and cayenne pepper. Taste and re-season if needed, then add the egg and mix well. 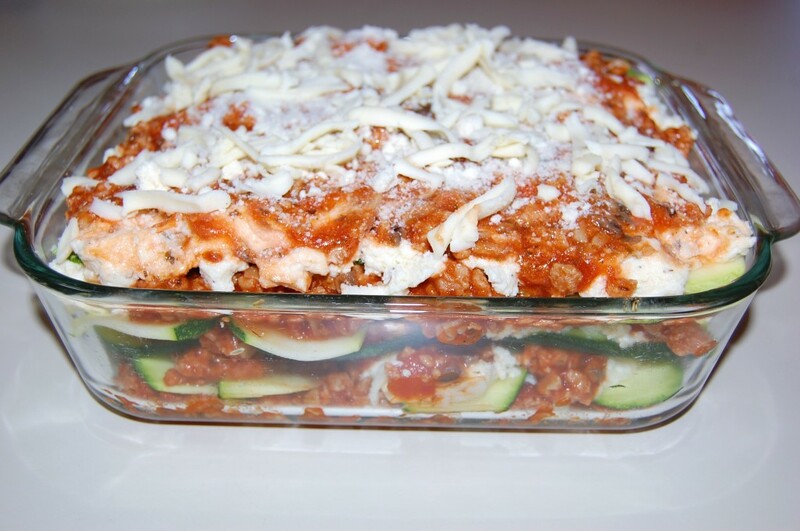 Sprinkle the top with more parmesan cheese and remaining 1 ounce mozzarella cheese. 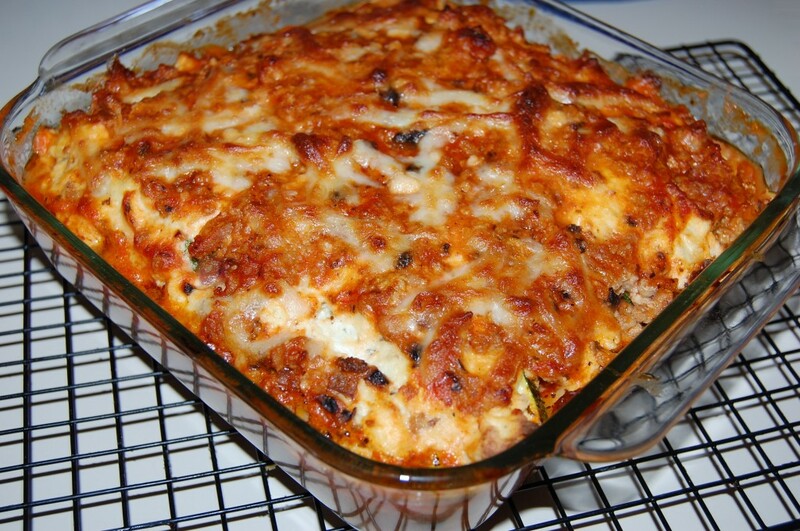 Bake for 40-45 minutes or until bubbly and cooked through. After removing from the oven, allow it to sit for 15 minutes before cutting into slices.